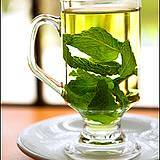 Peppermint tea is a useful natural health benefit for irritable bowel syndrome. In addition, it can alleviate the symptoms of headaches (including migraines) and stimulate liver and gallbladder functions. The fresh aroma of peppermint tea can also counteract motion sickness, and sipping a cup of the tea helps to freshen breath. 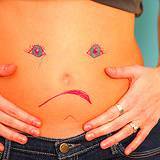 If you are suffering from liver stress or gallstones see Grandma's Yucky Tasting Home Remedy for Gallstones and Liver Cleanse . It really works! 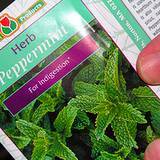 Many people plant peppermint in their herb gardens simply to enjoy its spicy fragrance on hot summer days. If you plan to grow peppermint for the other reasons, be sure to choose the variety with the greatest medicinal effect (there are more than 20 species of the herb). 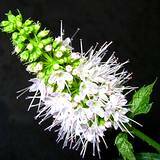 True peppermint, menthol piperita, has the highest number of active agents, including the essential oil menthol, which gives the medicinal herb its healing powers. Tea preparations made from the jagged green leaves of true peppermint are highly prized for their ability to help prevent convulsions and flatulence. Caution! Peppermint tea is not recommended for people with heartburn or stomach problems due to gastroesophageal reflux disease (GERD). It could worsen symptoms. Warning! 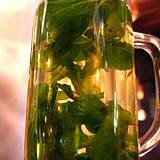 Peppermint tea should never be given to infants or small children; they have an adverse reaction to the menthol. Pour 1 cup of boiling water over 1 tablespoon of dried peppermint leaves, picked from your garden, or use the commercially available peppermint leaves or tea bag. Steep for 10 minutes. If desired, sweeten with honey, brown sugar or maple syrup. For prompt relief of mild stomach disorders, nausea, vomiting or flatulence, drink a cup of the tea in small sips after meals, up to 3 cups a day. Use 1 teaspoon of the mixture per cup of boiling water. Steep for 10 minutes, then strain. This slightly bitter but soothing, warming tea helps stimulate digestion. Use 1 teaspoon of the mixture per cup of boiling water. Steep for 10 minutes then strain. This combination of healing plants alleviates cramps and soothes the intestinal lining. Use 1 teaspoon of the mixture per cup of boiling water, steep for 10 minutes, strain. Menthol is the primary active ingredient in peppermint. This essential oil eases nausea, colic (see warning above for infants and children), diarrhea, headaches, gastritis and menstrual cramps. In addition, peppermint is rich in the enzymes peroxidase and catalase, which help strengthen the immune system. It also contains potassium calcium and B vitamins to combat bone lose. The essential oil menthol exerts a slight relaxing effect on the lining of the stomach and intestine, thereby relieving gastrointestinal cramping. It also stimulates digestion and helps to prevent gallstones from forming. 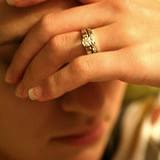 In addition, the increased flow of bile has a positive effect on the body's general metabolism of fat. The invigorating effect of peppermint can be attributed to its wealth of B vitamins, including riboflavin, niacin and folic acid. These vitamins act on the nerves and brain, helping to improve concentration and performance. Opt for fresh peppermint leaves when possible, they contain more B vitamins than dried leaves. Peppermint tea can be added to the bathwater to help you relax and to treat skin eruptions that are triggered by stress. Steep 5-6 tablespoons of peppermint leaves in 1 quart of boiling water. Pour the medicinal tea into a tub filled with warm water then soak in the bath for about 15 minutes. Because of its germicidal effect, and the cooling effect of menthol, strong peppermint tea is a good preventative remedy to use at the first sign of sore throat. Make a fresh batch of tea, allow it to cool to lukewarm and gargle several times a day. Peppermint tea is the ideal remedy for motion sickness. As a preventive, drink 1 cup of this herbal tea 3 times a day 3 days before traveling by car, plane or boat. You can also take along a thermos of warm this medicinal tea to sip slowly in case you require relief during your trip.